Wilwood's bleeder screw assembly for Wilwood brake calipers. 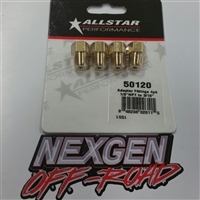 1/8" -27 brass fitting with a bleeder screw insert. 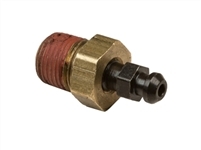 CNC 891 series 1/8" NPT Male to 3/16" Female fitting. Sold individually. CNC 889F series 1/8" NPT FEMALE to 3/16" Female fitting. Sold individually.